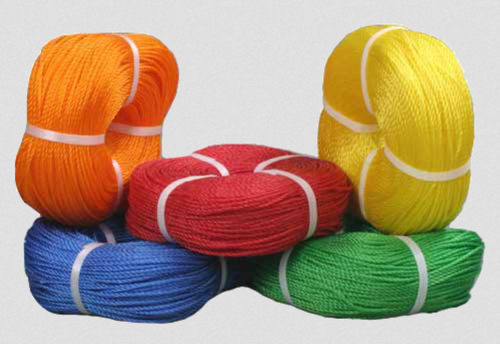 PP ROPES are made with monofilament yarn, which is extruded from the best extruders. The sizes range available is 2mm to 44mm Diameters, which can be made in 3 Strand or in 4 Strand. PP Monofilament Ropes are used exclusive for Gill Net Fishing method, which requires a high strength, uniform lay and a better abrasion resistant. BMG ROPES is company involved in Manufacturing Ropes & Baler Twine in Gujarat, INDIA. After the years of experience in Rope Industry the company established with the Vision to serve quality and Mission to lead the Globe. The Ropes of faith and respect ties every element of life. We have spent many years understanding the beauty of this relationship and engineering these qualities into our products. BMG Ropes is one of the leading and most trusted Rope manufacturers. Our company deals in wide range of Ropes & Baler Twine. We have been supplying our entire products to customers all over.